In the early days of astrophysics, it was thought that the chemical composition of stars was probably similar to that of the Earth and other rock planets. 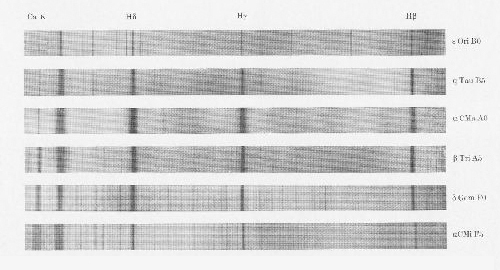 But in the 1920's Cecilia Payne determined, by studying the spectra of starlight through prisms, that the atmospheres of stars were not made of the same mix of elements as the Earth. Neither were they wildly variable in composition, as was also expected. They were, in fact, almost entirely made of hydrogen, and in nearly all cases. Our sun, 'Sol', is a yellow 'main sequence' star ( meaning it generates its energy by nuclear fusion ) about 1.4 million kilometers in diameter ( about 109 Earths ). It consists almost entirely of hydrogen and helium. Less than 2% consists of other heavier elements, including iron, oxygen and carbon. The Earth is made mostly of these heavier elements.